Crystal Beach in Color is a compilation of photos celebrating Crystal Beach Park, Ontario on the Lake Erie shore near Buffalo, New York. It marks the quarter century that has elapsed since the park closed its gates forever after the 1989 season. Rare color images capture the best of the midway from the late 1950s through the 1980s in a retrospective of a lost Niagara Frontier treasure. 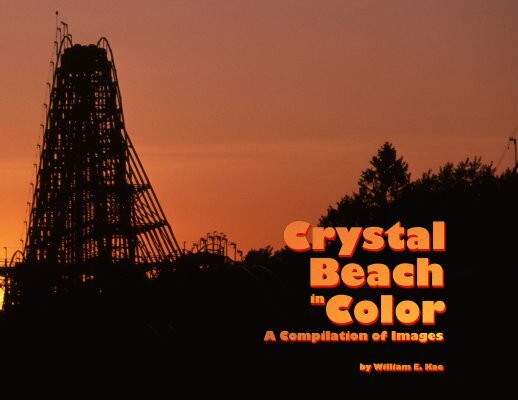 By day or night, Crystal Beach Park was a kaleidoscope of sound, motion, color and art that all generations can now contemplate through the photographs. Chapters cover many of the major spin rides, the roller coaster coasters, and the park at night through rare color photos. The last chapter contains rare black and white color images of the park dating back to 1900 before the advent of color photography. This is the fourth William E. Kae book distributed by Western New York Wares, including Crystal Beach Park: A Century Of Screams.